It is always exciting to see new DC Comics-inspired titles from Downtown Bookworks. This Fall, the publisher will be releasing some awesome new books featuring well-known superheroes and villains. So, check them out! I love the DC titles from Downtown Bookworks. The retro art style makes everything look cooler. I am going to talk about the upcoming Fall releases from Downtown Bookworks by starting with the title releasing this September and then moving on from there. Priced at $16.99 (US)/$19.99 (CA) and featuring a shiny foil cover, The Big Book Of Super-Villains features backstories of DC’s “most popular scoundrels. Discover their special powers, tricky devices, and troublesome habits, as well as memorable battles with their archenemies.” It will be released this September and is meant for kids aged 4 and up. Available this October for kids aged 0-3, Super Heroes Say Please is an etiquette book which uses superheroes to teach kids important manners. It will be priced at $10.99 (US)/$13.99 (CA). Boasting a title that can definitely be used for an interesting fanfic (ha! ), Bath Time With Aquaman is here to introduce kids to Arthur Curry. Considering his live-action solo film will be releasing soon, I like seeing Aquaman get some love in the book department, too. Meant for kids aged 0-3, this waterproof book will be available this October for $9.99 (US)/$12.99 (CAN). Moving on to November, The Big Book Of Super Hero Bedtime Stories for kids aged 4 and up will cost you $16.99 (US)/$19.99 (CA). It has been described as a picture book that “celebrates super heroes and is a calming read for kids who need to rest”. 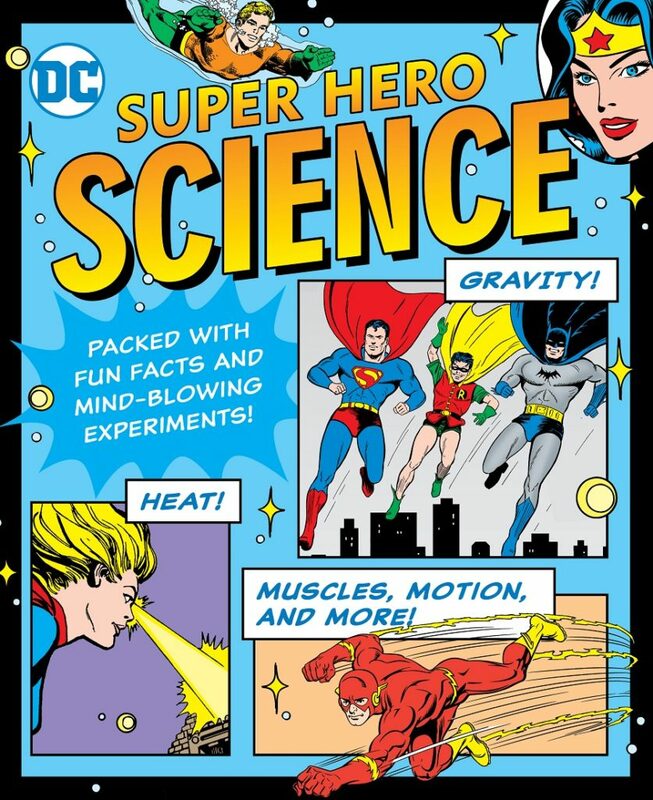 This title, meant for kids aged 6 and up, includes experiments and explores “popular science topics experienced through the lends of DC’s beloved super heroes”. It will be available for $12.99 (US)/$14.99 (CA). As the name implies, Girl Power Brain Boosters for ages 6 and up is all about giving you a brain work out with puzzles, codes to crack, and more. It will be up for grabs at a price point of $12.99 (US)/$14.99 (CA). Feel free to share your thoughts about the DC titles from Downtown Bookworks with us.